Donald Lee Dahlsten, professor of insect biology, died on September 3, 2003, at Alta Bates Medical Center following complications from a rare skin cancer. He was 69. Over the course of his 40-year career, Don became an internationally recognized expert on the ecology and control of forest insects. He investigated the biology of several destructive forest insects, including “sawflies” (wasps that feed on plants as larvae) in young plantations of pines and firs (the subject of his M.S. and Ph.D. theses), the Douglas-fir tussock moth, and the western pine beetle in the mixed-conifer forests of the Sierra Nevada and San Bernardino mountains. His studies also included elm leaf beetle and several psyllid species (sap-sucking insects) that infest Eugenia and eucalyptus species in urban landscapes, all of which were introduced into North America. As an assistant professor in the 1960s he led an effort to reduce widespread aerial applications of DDT for forest insect pest control. His research led him to oppose the general use of toxic chemicals to reduce insect-caused damage in both forest and urban environments. This concern focused his research interests toward finding alternative pest control strategies using the pest’s natural control agents. In collaboration with his students and colleagues, Don developed sampling methods for the western pine beetle, Douglas-fir tussock moth, elm leaf beetle and Eugenia and eucalyptus psyllids. These methods were used to correlate population with damage levels, which became the foundation for integrated pest management programs for these pests. In his search for alternatives to toxic chemicals, he investigated both parasitoids and predators of these destructive insects. 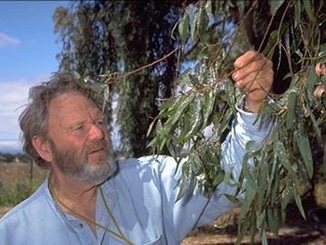 He successfully introduced parasitoids from Australia to reduce populations of the Eugenia, red gum, and blue-gum psyllids that were damaging Eugenia and eucalyptus trees in California. Although Don’s research interests were diverse, they had the common theme of environmental protection. Early in his career he developed a strong interest in insectivorous, cavity-nesting birds. He maintained long-term nesting studies in several forested habitats throughout California to assess the effects of increased populations on damage caused by forest insect pests. Don was banding birds a few months before he died. Some of his studies of the chestnut-backed and mountain chickadees were summarized in issues of Birds of North America (2002). His environmentally based research concerns included research on minimizing the impact of control methods for the glassy-winged sharpshooter on riparian habitats, the impacts of Argentine ants on aphid pests in urban trees, and the effects of the Sudden Oak Death pathogen in coastal forests of California. He authored or coauthored more than 240 studies published in peer-reviewed journals, conference proceedings, and books. His many investigations on the biology and control of forest and urban insects earned him the respect of colleagues throughout the world. “Dahlsten was a giant in the field of entomology and biological control,” said Leonard Brennan, a professor at the Texas A&M University’s Caesar Kleberg Wildlife Research Institute and one of Don’s former graduate students, who also observed that “[h]is more than 200 publications [helped] form the backbone of the field of biological control. The world is clearly a better place because of his research.” For his contributions to forest entomology, Don, in 2003, received the Founders’ Award presented annually by the Western Forest Insect Work Conference. Don was born on December 8, 1933, in Clay Center, Nebraska. He was eight years old when his family moved to Los Angeles. Following graduation from Hollywood High School Don attended the University of California, Santa Barbara, on a football scholarship but had to leave one year later after contracting polio in 1952. Pioneering surgical techniques enabled him to regain the use of his arm. His career aspirations shifted from athletics to entomology; and after a brief period at UC Los Angeles, he transferred to UC Davis, where he received his B.S. degree in entomology in 1956. 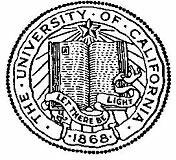 Don continued his graduate studies at UC Berkeley, where he received his M.S. (1960) and Ph.D. (1963) degrees in entomology under the guidance of Professor Ronald W. Stark, Department of Entomology and Parasitology. Don taught general entomology at Los Angeles State College for one year before his recruitment to Berkeley in 1963 as an assistant entomologist in the Division of Biological Control. In 1969 he was tenured as an associate entomologist in the division and an associate professor in the Department of Entomology and Parasitology. Five years later he was promoted to professor. Don enjoyed teaching both undergraduate and graduate students in biological control, entomology, forestry, pest management, and conservation and natural resource studies. In 1995 he was awarded the College of Natural Resources’ Outstanding Teaching Award. His enthusiasm for insects and environmental education extended beyond the campus, and he and his colleagues developed an outreach program for inner city schools through the College of Natural Resources and the UCB Interactive University Project. He lectured on these topics throughout the state in high schools, colleges and in many scientific forums in North America and abroad. One of his favorite courses involved the exposure of freshmen and sophomores to the flora and fauna of diverse California ecosystems. These weekend field trips showed how humans have impacted these habitats. This schedule meant that he had to miss his beloved Cal Bear football games on several Saturdays. He was a faithful fan of Cal football and basketball teams and also gave strong support to the programs in swimming and baseball. Classical biological control was one of Don’s areas of expertise, and his collaborative research enabled him to travel extensively. He was a Mellon Visiting Lecturer in Entomology at Yale School of Forestry and Environmental Studies (1980), and a member of the International Society for Ecology and Culture Panel team to the People's Republic of China (1981). While on sabbatical leave in France and Austria in 1984, and on his many trips to Australia, he investigated the biology of various parasitoids. Don believed that one of his most important accomplishments was completion of the Milford Track in New Zealand with his walking companion and longtime friend, George Schindler. Mr. Schindler presided over Don’s memorial celebration on October 12, 2003. A giant sequoia was planted in his honor between the chancellor’s house and Giannini Hall. Don is survived by his parents, Leonard and Shirley Dahlsten; his wife Janet of Berkeley and her children, Karen Haymaker of Phoenix, Arizona, and Michael Thurston of Auburn, California; his first wife, Reva Laham and their daughter Andrea Schwipper of Ramona, California; his brother David Dahlsten of Los Angeles, California; and 10 grandchildren. His daughter, Dia Smith of Hollister, California, also from his first marriage, died in 2005.